Order the newest Ada Lace Book (Book 5)! 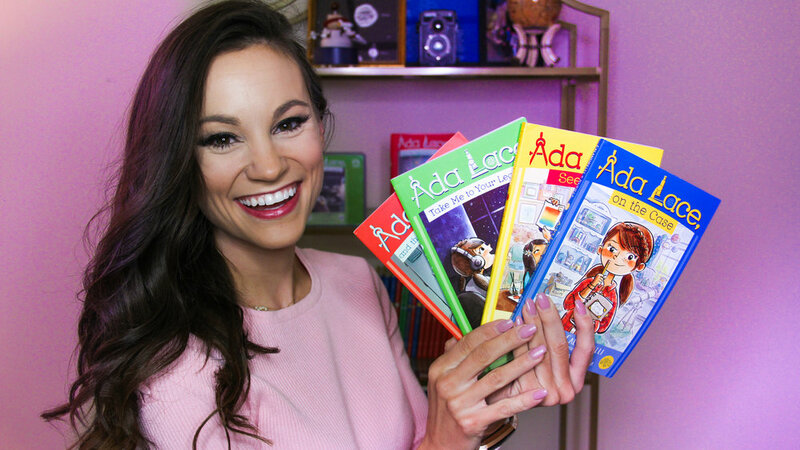 The Ada Lace Adventures is Emily's first children's chapter book series. It features a 3rd grader, Ada Lace, who loves science and technology. She works with her new best friend Nina to tackle challenges and mysteries in her own life. In 2018, Ada Lace Sees Red was selected as one of the Best STEM Books for kids by the National Science Teachers Association. Buy the Audio Book - Narrated by Emily! Want Curriculum Guides that Match Common Core/NGSS Standards? Want to bring Emily to your school or book store?